Filter by Account Format Standard Ultimate Xbox/PC Win 10 Deluxe Ed. 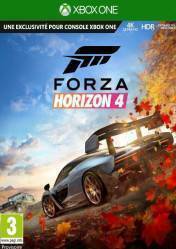 Attention: This edition of Forza Horizon 4 is unique to Xbox One and in physical format, so it does not support support Windows 10. The only version that has Xbox and PC support for Windows 10 is the digital version. Still, some stores labeled "Xbox/PC Win.10" have been included that correspond to the digital version of Forza Horizon 4. Don't forget that this comparison focuses on the physical version of the game, not the digital version. Still, check the information carefully at each store, as some digital versions of Xbox One games, either in code or account format, may have regional blocking. The new installment of the Forza Horizon franchise, with millions of fans around the world, returns on October 2nd with more strength and more news than ever before. One of the most interesting additions is the effect of so-called dynamic stations, which will completely change any race. As always, we can play alone or join other teams to explore Great Britain, represented by a huge open world with hundreds of possibilities. Collect, modify and drive over 450 cars. Compete, perform acrobatics, create and explore - choose your own path to become a Horizon Superstar. Remember that there are numerous versions for this title. The standard version, the Deluxe version and the Ultimate or Exceptional version. All include the original game, but the better version, the more extras like car packs, expansions, DLCs and other bonuses. There are no comments yet about Forza Horizon 4. You can be the first one!